Images bring website pages to life, but are yours working hard for you in the race to the top of the search engines? Your own pictures taken with a camera or smart phone. Images you’ve bought from one of the stock photo sites. Images you’ve got from free image sites. Images you’ve found on Google images. NEVER use images you’ve found in the Google images library. The problem is that Google is indiscriminate about presenting images to you and simply ‘farms’ all the available images that have the right keywords attached. 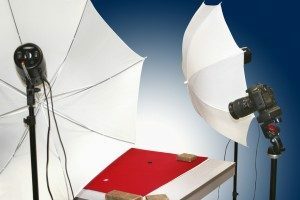 Some of these images are subject to copyright, even though they may not appear to have come from a stock photo website. If someone has paid for their use and used them on their website, then you download the image via Google images, you are in breach of copyright – even if you have no idea that’s the case. If the originator of the image spots it (and they do search) you’ll have to pay – and that can run into thousands! OK – back to the other methods of finding good images. When you’ve taken a picture it usually has a name that consists of a string of numbers and letters. If you’ve sourced it from a stock photo or free images site it probably has an ID number. Before you upload it to your website change the image title to a descriptive title that features the keywords for the page it will be on. This means your images provide additional keywords for the search engines to find and help your pages to get a higher ranking. It also means that anyone using a screen reader will be able to read the image tag and understand what the picture is about.